If you’re planning on taking a helicopter tour as part of your vacation, then you need to take some time to see what’s on offer. You should never just book with the first company you find. 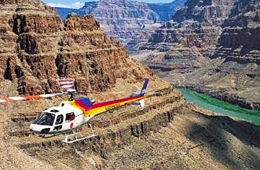 A helicopter tour can be an integral part of your holiday, so choosing the right tour is important. Your first port of call, after you know the dates and location of your holiday, would be to search online for helicopter tours in that area. 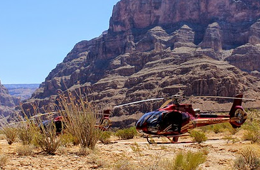 You may find that there is only one company providing tours, but that’s very rare; if there is a market for helicopter tours then there will be competition. Once you have some company details start comparing what they have to offer. Price is always an important factor (and usually the only one people will take into account) when purchasing anything, but don’t be tempted to go and book the cheapest tour straight away. You might find that a higher priced tour has offers, or are providing something that the cheaper companies are not. Safety and security are also important factors to consider. So check out information about the company, i.e. how long have they been flying, do they have experienced pilots, etc. If you are planning your vacation in the USA, it might also be useful to look up any accidents from the National Transportation Safety Board. There you can access a query form, which can give you details about whether the company has been involved in any accidents. Would you like a straight forward sightseeing flight, or would you like to incorporate an activity into the tour? What time of the day is the tour? Is the tour suitable for everyone coming on the vacation (children, elderly, etc). Nowadays booking a tour online is so simple. Nearly all tour companies have the option of securely reserving and paying online, you just need to click and book. 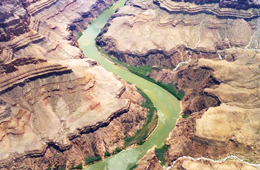 It couldn’t be quicker or easier to make sure that you get the helicopter tour you want.